Lightning Literature: Mid-Late 19th Century British Literature from Hewitt Homeschooling, adapted to fit the needs of modern gifted learners. This is semester-long high school literature course. Categories: Literature, Spring 2018, Spring 2019. 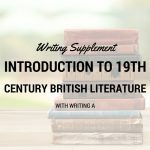 Lightning Literature: Mid-Late 19th Century British Literature from Hewitt Homeschooling, adapted to fit the needs of modern gifted learners. This is semester-long high school course. Weekly webinars are 50 minutes long. Recordings are available for students who must miss a session. 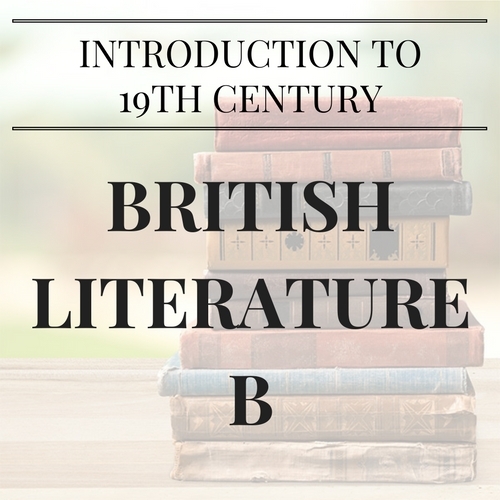 Introduction to 19th Century British Literature A or equivalent. Shakespeare courses especially recommended. Student must be able to read fluently at the high school level or above. Student should also be able to write a paragraph independently. High school level writing is not required and composition instruction will not be covered in the course. Students who wish to include writing with this course should enroll in the Writing Supplement.